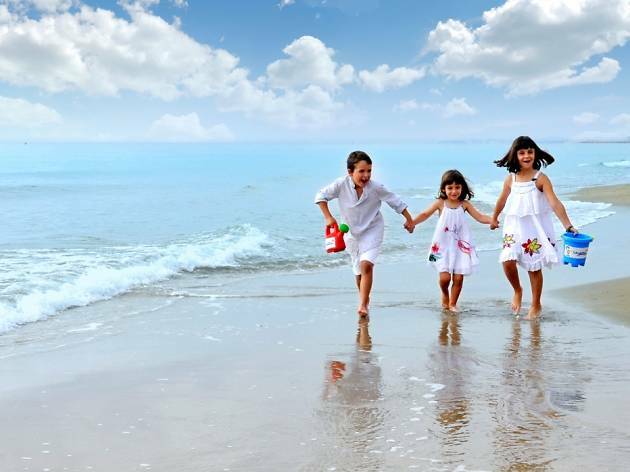 Calafell, one of the Costa Daurada's most emblematic towns, is a beautiful coastal resort. But as well as the fine sand of its beaches, it's full of other treasures, both cultural and historical, that are worth exploring. There's also lots for sports fans to do, from golf to Nordic walking. Start your stay by getting close to nature and practising sport. Located 2 km along the Calafell to Bellvi del Penedès road is La Graiera golf club. It has a par 72 18-hole course, which is set in woodland and nature. The route is hilly and includes three amazing lakes with local fauna (try to make sure your ball doesn’t become part of the water wildlife). The facilities of La Graiera were renovated in 2012, with the building of a new clubhouse that has restaurant service at lunchtime and a bar open throughout the day. For your first morning in Calafell, don’t leave it too late to get up and ready, so that you’ll have the time to try out Nordic walking, which has really taken off here and other local spots in the past few years. The Regidoria Municipal de Turisme de Calafell is a member of the Active Tourism Club (part of the Catalan Tourism Agency) and promotes this free activity, which essentially involves using special sticks when out walking – aerobic exercise that's good for the heart. And don’t worry about getting your own walking sticks. Trained monitors will provide them for you as well as explain the technique of Nordic walking. The meeting point is Plaça dels Països Catalans, every Saturday and Sunday in March, April, May and October at 9am, as well as weekends in June, July, August and September, at 8am. 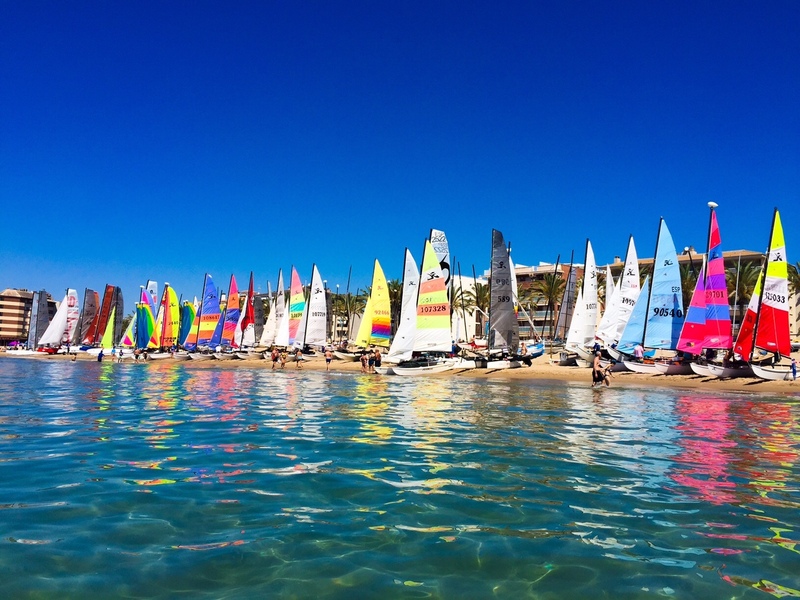 If you're more into water sports, Calafell is a great place to indulge your hobby. The sailing school gives you the chance to discover the emotion of regattas thanks its offer of a solid technical grounding as well as practical experience. 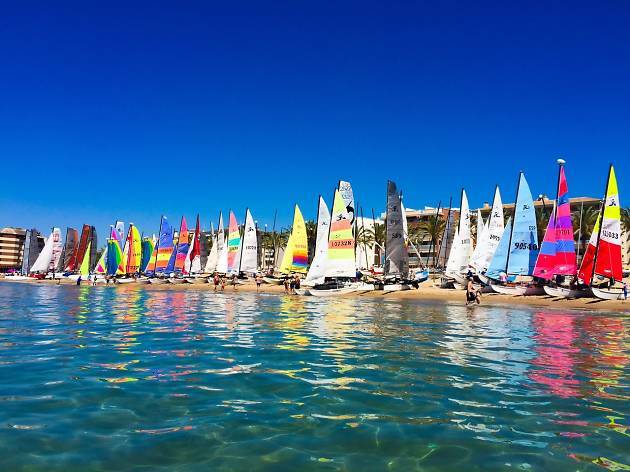 In addition, the school offers outings on sailboats, individual courses and classes, and the hire of catamarans, kayaks, etc. But perhaps what you’re really interested in, especially if it’s a sunny day, is relaxing with your towel by the sea. In Calafell, there are five kilometres of golden sand and iodine-rich waters. The three beaches and seafront were the first in Catalonia to receive the ISO 14.001 certificate from the AENOR Certification Organisation in 2003. The blue flag has flown over all the beaches there since 1992. 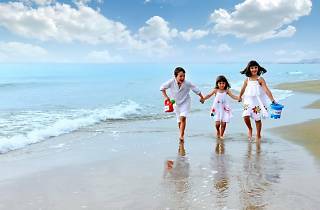 They're great for families (in fact, the've been nicknamed by some as ‘the baby-bottle beaches’) thanks to the quality of the sand and water, the calmness of the sea, and the gentle slopes down into the Med. For lunch, we recommend you try cod salad ('xató') and rice dishes ('arrossejat') in any of the good restaurants you’ll find around the town. History and archaeology lovers can’t miss this next part of the trip. The Iberian fortress of Calafell is a unique cultural building where 20 years of excavations have resulted in its reconstruction on its original site. Following rigorous studies, archaeologists have been able to reproduce the walls, streets and houses as they were between the sixth and first centuries B.C. 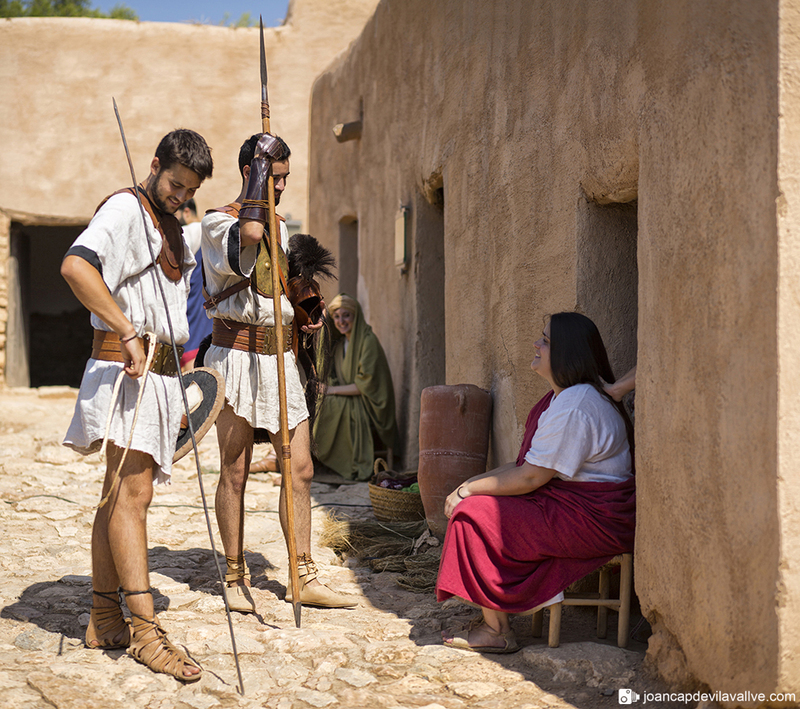 A visit is like taking a leap back in time, and there are explanations about the lifestyles, customs and other essential aspects of Iberian society. 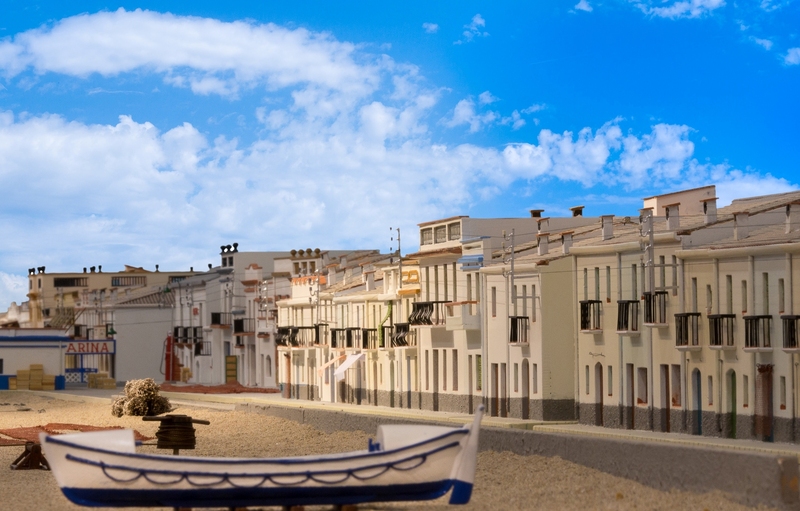 To finish, head to the old town of Calafell, with its medieval character. 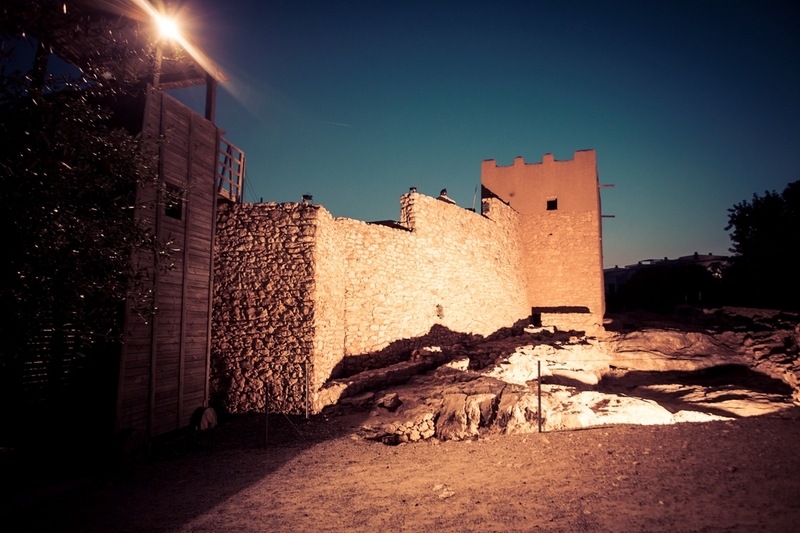 On the highest point, you’ll find the castle of Santa Creu, which dates from the 11th century, although remains of farmers’ cabins and grain silos from the eighth century have also been found in the area. Guided tours are available, during which you’ll learn all about the destruction of the castle in the 17th century, and how the church has remained in relatively good condition (with anthropomorphic tombs and the altar of Santa Creu), along with the belltower, prison and water tank, through which you can go underground to discover graffiti left by pirates. Another place of interest in the town is the Confraria de Pescadors (the Fishermen’s Association building) in the middle of Passeig Marítim, at the end (or the beginning) of Carrer de Sant Pere. This single-storey, white-and-blue building is simple but has many years of history and memories behind it. 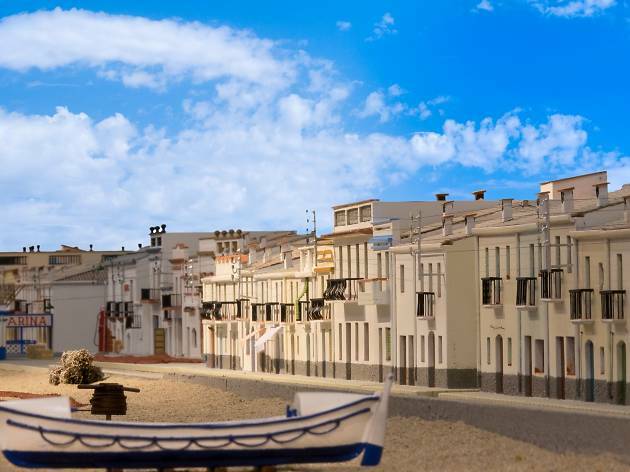 In fact, the building, which is popularly known as the Pòsit, played an important social role in the whole town of Calafell, and the association has collaborated in initiatives such as the purchase of a funeral car and the building of schools in the town. 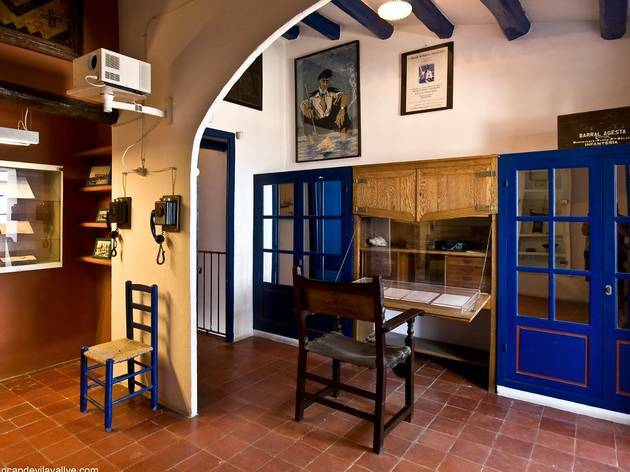 The association headquarters now also serve as a centre for retired fishermen. Definitely have a look at the 'maquinilla', a machine used to drag the fishing boats up the beach in the 1920s, which has been classified as an item of national cultural interest. You'll be starting your last afternoon in Segur de Calafell, where you'll call in at the port. The port was first opened just over a decade ago and offers all types of services including restaurants, bars, ice-cream parlours, fishing tackle shops and plenty of opportunities to participate in water sports, making it a great place to spend a few hours. But if you’ve forgotten to buy gifts or maybe something for yourself, you might want to spend some time shopping, which isn't a problem, even on a Sunday afternoon. Most shops in the town will be open – both Segur and Calafell itself have special licenses for staying open on Sunday, unlike most places in Barcelona, for example. And you’ll find many different kinds of products for sale, including clothes, books, shoes and gifts. If what you’re looking for is fresh, high-quality food, head to the municipal market, on the beach of Calafell – a beach to which you can now bid adéu... until the next time. 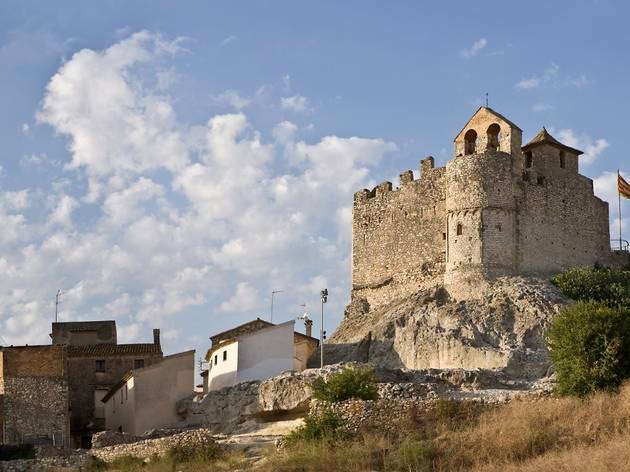 Offering magnificent views over the plains of Calafell, you’ll reach this hilltop castle by walking up along narrow streets with a medieval air. 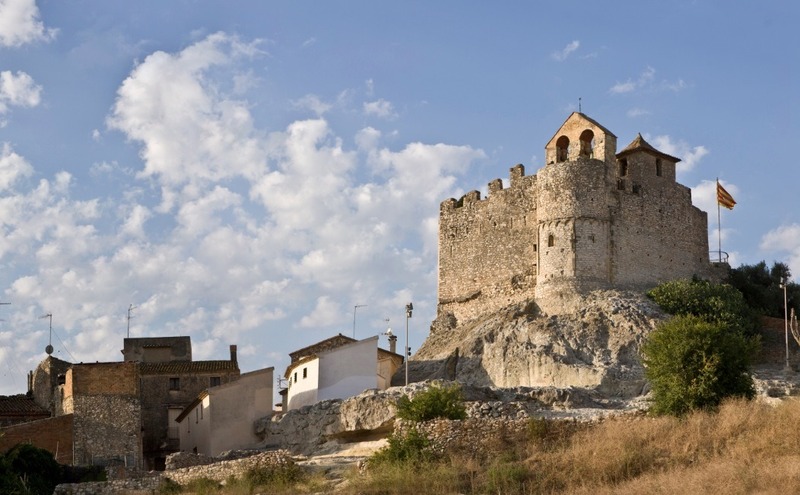 It was built here in the twelfth century during the reconquest and repopulation of the territory against the Moors and the old town of Calafell grew in its sheltering shadow. You’ll see the remains of the medieval necropolis with tombs carved into the rock. Above the church is the comunidor, a square building that was open to the four winds and storms and was reputed to ward off both storms and demons and bless the town. You can still see cannon holes in the castle walls. 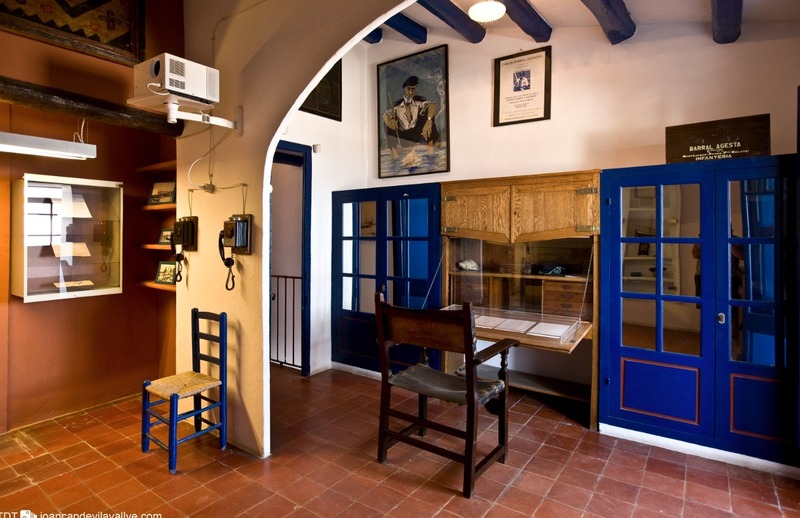 The building of the old association of fishermen, the emblematic Pes, is now a study centre that explains a bit of the collective past of Calafell and its fishing history as well as the recent history of the seaside town. the space was created to keep alive the legacy of the 'most wooden' beach on the Catalan shore, as writer Carolos Barral called it. Get to know how the community lived and built itself up, the relationship between patrons and 'remitgers', workers of the sea and land, their social and cultural expressions – a way of life that takes you back to the last century. 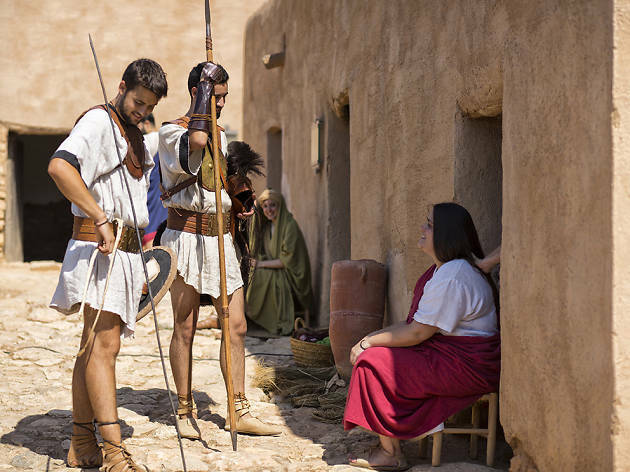 There are not many places where you can stroll around a reconstruction of an Iberian settlement “in situ”. Following meticulous research, the archaeologists here have reproduced the walls, streets and houses that stood here between the 6th and the 1st centuries BC. Home of writer and publisher Carlos Barral and one of the few of the old fishermen’s supply shops left in the village. The centre aims to recuperate and promote the traditions and customs of the seafaring community of Calafell and to promote Barral’s literary and publishing work.